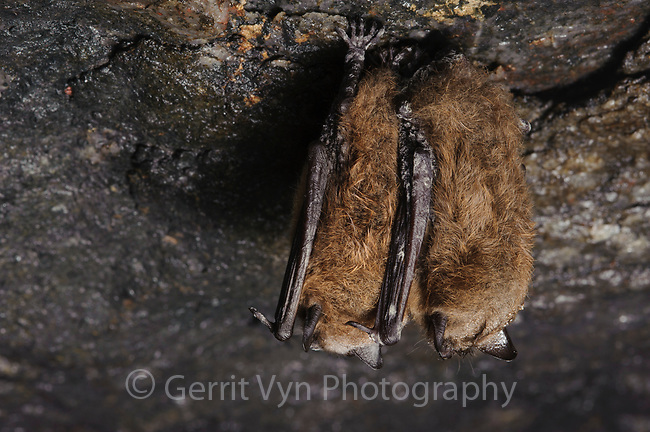 Two Little Brown Bats hibernating in a mine. Bats lives in the winter require a delicate balance of temperature and humidity where they can sit for weeks at a time without moving. White-nose syndrome is thought to be somehow disrupting this balance.